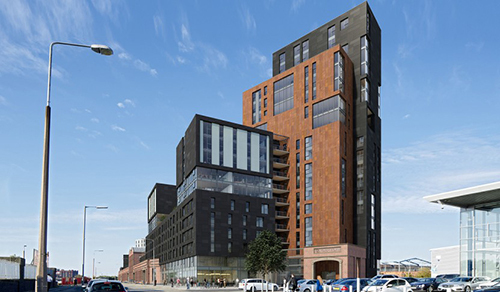 Work on a £90 million ($126 million) luxury multi-family residential project in Liverpool, England, remained halted Wednesday (March 16) after several World War II devices were discovered at the jobsite, according to reports. Workers reportedly unearthed two suspected "bombs" Monday (March 14) while performing excavation work on the site of the North Point development. 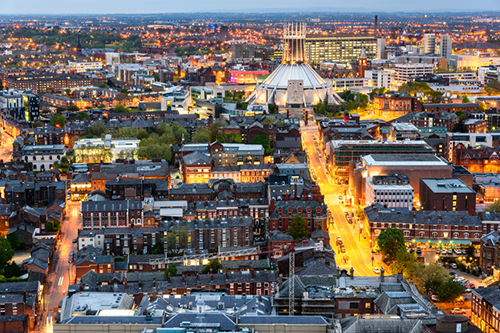 Work on a mixed-use residential project near Liverpoool's city center was halted following the discovery of empty projectile shells dating from the second World War. In addition to the worksite, many surrounding areas were also evacuated. The incident also impacted nearby train services, the Liverpool Echo reported. Military bomb disposal experts reportedly used a robot to dispose of the two devices uncovered Monday, which authorities identified as 105mm shell casings. Five additional shells were discovered Tuesday, but a robot was not required for removal, the Echo reported. David Choules, chairman of North Point Global, the company in charge of the development, told the media outlet that the discovered objects were empty projectile shells and would have been in transit to the Royal Ordnance factory in Chorley for the explosives and fuses to be installed. Choules also told the news bureau that work on the project would cease while explosive experts continue to survey the site. The North Point project will add over 300 luxury apartments to the area. The North Point development involved demolishing industrial warehouse buildings to make way for an 18-story luxury apartment building, designed by Liverpool architects BLOK. The firm says the new development will also include retail and commercial space, according to its website.